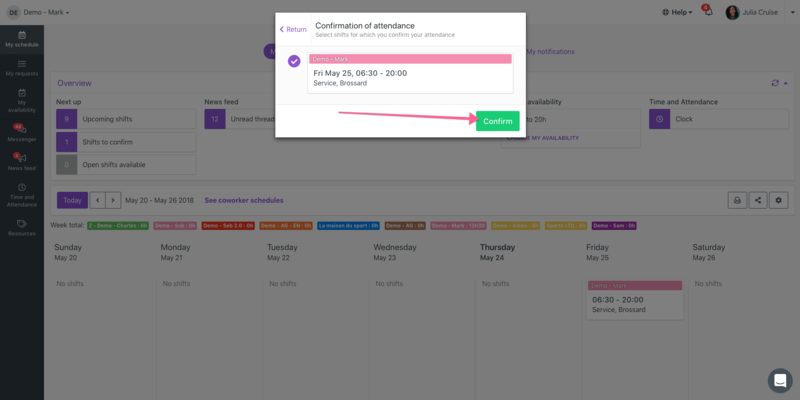 Your manager can request a shift confirmation that will prompt a confirmation window when you connect to Agendrix. You must click on the shift before you can confirm them. Select the shifts needing confirmation by clicking the corresponding circles (see pink arrows). After selecting each shift, their color will turn purple, and a white check mark will be added to them (see blue box).